from Lori Karpman, President, Lori Karpman & Associates Ltd.
Factoring, or “the sale of accounts receivable” is a source of funding whereby a company sells the value of their accounts receivable less a discount in case it doesn’t get collected or doesn’t pay on time to a third party in return for immediate payment. It has always been a choice for big business, but not so for small to medium ones with gross sales of $3 to $5 million per year, which really isn’t that small. The small business loan program offered by the banks is still essential for the initial start up phase but most companies need financing during the operating stage and often cannot get it from a bank for a variety of reasons. It can be because they have already borrowed the maximum available, or additional borrowing will cause them to breach their borrowing ratios under existing loans. This makes it very difficult for businesses especially seasonal ones, to ensure the steady cash flow required to run their business during the low periods, and young companies from filling big orders. So what, who, where does a business owner go? Factoring is hardly new and has existed since the days of the Roman Empire. Unfortunately, some scandals U.S. in the younger stages of the industry left factoring with a undeserved tarnished reputation that still prevails today. Factoring companies are not banks however in the US banks may have a factoring division which are regulated. It became seen as the recourse of last resort for companies in financial distress who sent their accounts receivable to collections. In fact none of this is true; factoring is a brilliant way to fund operations without burdening it with debt that would take the company years to pay back, or diluting the owner’s equity. Results don’t lie; companies that factor their receivables usually double or triple their business in 2-3 years. Over $1 trillion in sales is factored worldwide annually. In fact, factoring is the champion of small business and an essential partner in managing its financial growth. Small and medium businesses often fail because of short term cash flow problems, not because business is bad! Each of these options provides a company with much needed working capital for daily operations and to service current orders, however, there are significant costs associated with each choice. A traditional bank loan burdens the company with additional debt, plus the cost of the interest being paid on the debt, creating a debt greater than the amount borrowed. Additionally this being a loan it shows up as debt on financial statements, making it even more difficult for a company to get a bank loan later. All revenues coming in are being used to service debt instead of upgrading equipment or buying more inventory for example. It’s difficult for a business saddled with debt to grow. The other option is to seek private investors to invest money into the business and fund its operations. The issue with private investment is that the amount of equity required to be given in return for the investment is usually substantially more than the equity is currently worth, and it will cost many times that amount to buy out that shareholder at a later date. It’s the most expensive form of financing there is. The end result is the dilution of the owner’s equity in their own company. It can even result in a complete loss and transference of control to the new investor. While this may work for a large company with many shareholders it is generally not a good alternative for owner operated or family run businesses. Simply put: Every company has “receivables” from the people it sold products or services to. The company sells all its accounts receivables to a factor at a discount. The factor discounts their value based on a variety of factors such as the industry and how long it generally takes to get the invoices paid. The company receives about 85% of the face value immediately and the balance less the discount fee when the account is collected. The discount amount depends on many factors but is generally between 3-6% for a pre-negotiated period of time and a fraction of that thereafter. The uniqueness of this alternative is that the business owner is not trying to borrow based on his own and his company’s creditworthiness but that of each one of the company’s customers. So while the company may not have good credit as long as the customers do, the company can leverage and borrow against their good credit! Most companies find that they no longer need a bookkeeper or office assistant and the salary they save easily pays covers the discount fee and more. Here’s a perfect example. Many years ago I met a woman who does home stereo installations for large box electronics stores, and works from an equipped truck. She was offered a contract that she needed $75,000 for to equip 2 trucks and hire two people but she didn’t have the money. What she did have was a $100,000 receivable from a national electronics chain with obvious good credit. She factored her $100,000 and received $85,000 in 24 hours. This allowed her to take advantage of the new contract. She continues to factor all her receivables. Within 2 years of her original factoring she tripled her business all without creating debt or giving up control. It’s important to note that the Discount Fee is an expense not interest and is treated as such in the financial statements so after 3 years passed and she went to the bank for a real traditional loan she got one and at a great rate because her company had no debt. In any event, the discount fee is the smartest and most strategic expense a company can pay, and given and the results I’ve seen, it’s worth every penny. The owner is freed up to work “ON” their business and from that comes great new revenue generating ideas and a calmer life by being liberated from consistently worrying about finances. In fact, financial professional and bankers are proponents of factoring as it keeps their clients in business when they cannot. For those of you still worried about the image or the stigma don’t be, your customers will never know a thing! If your company sells a product/service that generates accounts receivable then you have a hidden treasure of financing for your business and you owe it to yourself to learn more about it. Lori Karpman, considered one of Canada’s leading experts on franchising and multi-unit business development models, is also the President/CEO of the multi award winning consulting and legal services firm, Lori Karpman & Company. 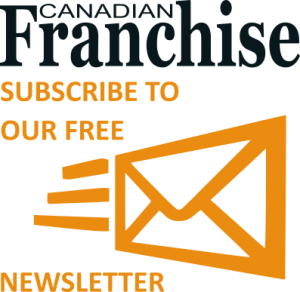 During her esteemed career, Lori has been a franchisor twice and the Master Franchisee of the Pizza Hut brand for the Province of Quebec. The firm’s clients range from the Fortune 500 brands to the local start ups. Lori is a prolific writer and sought after guest speaker and has been featured on television, YouTube and radio.